Valentine’s Day is all about sharing the love. You want to give your Valentine a gift that proves how much you care. You may feel pressured to buy expensive jewelry, flowers or gourmet boxes of chocolate, but you don’t have to spend a fortune to prove you really care about someone. In fact, a thoughtful gesture is sometimes the most meaningful gift. 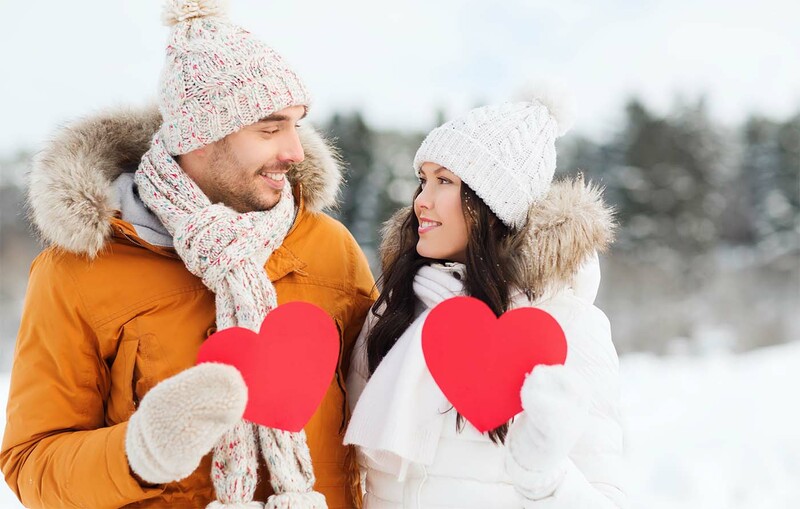 Here are six ideas on how to enjoy Valentine’s Day on a budget while still making your Valentine feel special. Going out for dinner is a popular Valentine’s Day tradition, but it can also be one of the most expensive. Zagat reports a Valentine’s dinner at an upscale restaurant can cost an average of $170.53. Save a bundle by making your own Valentine’s dinner at home. Cook the meal together and make sure to include your favorite food on the menu. Create your own atmosphere by lighting candles and playing music. Put together a playlist of special songs for your sweetheart. Include songs that are meaningful to you like the first song you danced to or the song that was playing when you first met. Take it one step further and set up a dance floor at home so you can dance along to the playlist. Instead of spending a bundle on a big box of chocolates, make your own sweet treats. Bake heart-shaped cookies or make heart-shaped pancakes. Taking the time to make something yourself is a great way to show how much you care. Going out to see a movie in the theatre isn’t exactly cheap anymore. Stay home and rent a movie or stream one from Netflix. You can make your own popcorn and snacks at a fraction of the cost of movie theatre snacks. Plus, you get to sit on your own comfy couch. It may be cold outside, but you can still find ways to have fun and enjoy a little fresh air. Go ice skating, bundle up and take a walk under the stars or if it’s snowing—build a snowman. After, go home and warm up with a nice cup of hot chocolate. There’s nothing better than sharing a laugh with your loved one. Tickets to a local comedy club are usually inexpensive and can be a fun night out. You don’t have to break the bank to make your Valentine’s Day special. Simply going out of your way to do something thoughtful is enough to make your Valentine feel special. How would you like a chance to win dinner for two? Visit our Facebook page and tell us how you met your significant other in a comment. Or share a story about a couple you know and how they met, like your parents, grandparents, etc. The person with the best story will win a $100 gift card to Texas Roadhouse! Stories must be posted by February 13, 2019 and the winner will be selected on Valentine’s Day.